Businesses across Worcestershire are being warned of a looming change that brings in sweeping reforms to how they submit their tax returns. 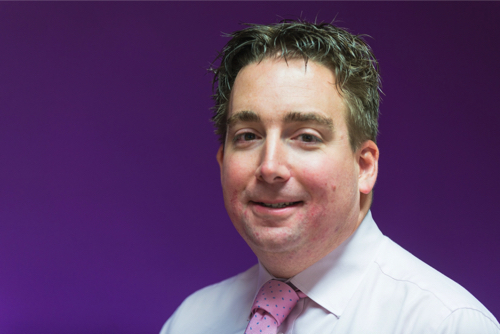 Alistair Hayward-Wright, from leading firm Hayward Wright Accountancy Group, said many county businesses were still unaware of Making Tax Digital (MTD) – which comes into effect from 1 April – and risk facing sanctions and late payment penalties. A new incentive from HM Revenue and Customs, MTD is intended to get businesses filing their taxes more quickly and efficiently. It will mean the end of annual tax returns for millions of firms. However, a survey by the Institute of Charted Accountants in England and Wales last Autumn found 40% of businesses were unaware of the changes, while a further 20% had made no preparations. Mr Hayward-Wright, said: “With so many businesses unaware and unprepared just a few months ago, it is highly likely that a significant proportion will still be in the same position. “There is absolutely no time to lose. This is the law. Digital reports will have to be filed online and there has to be the correct digital record keeping or the government will impose hefty financial sanctions. Hayward Wright Accountancy Group is offering a one-stop solution using Xero, the UK’s leading cloud-based accounting system, to simplify the process for businesses. The system will not just keep businesses compliant for their VAT, but also provides an up to date picture of their finances. Aside from its Redditch headquarters, Hayward Wright also has offices in Worcester and Solihull. The business has a team of 19 specialists. For advice on Making Tax Digital visit www.haywardwright.co.uk to contact the team.